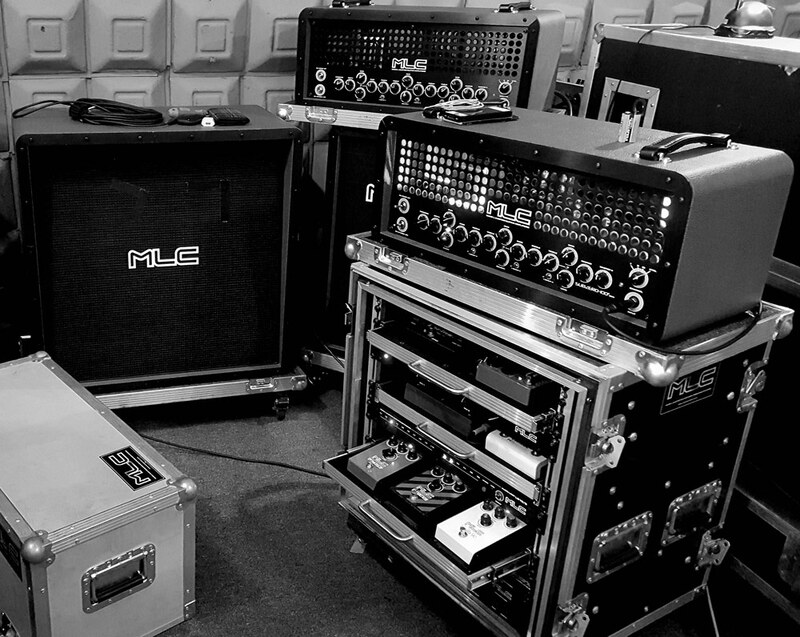 The history of Mark L Custom (MLC) Guitar Electronics and Amplifiers dates back to 2002, when Marek Laskowski (Mark L) first decided to design and produce professional guitar systems for musicians. Being a guitarist and guitar-electronics aficionado himself, Mark realized early on that he had the ability to modify existing equipment to make it sound and perform better than originally designed. Soon Mark began designing and building his own original equipment under the MLC name that vastly outperformed anything currently on the market. The music business took notice as the list of professional musicians, as well as musical enthusiasts, who choose to utilize MLC equipment continued to grow exponentially since 2002. Today MLC is headquartered in Gdańsk, Poland, and serves hundreds of professional and discerning musicians world wide. 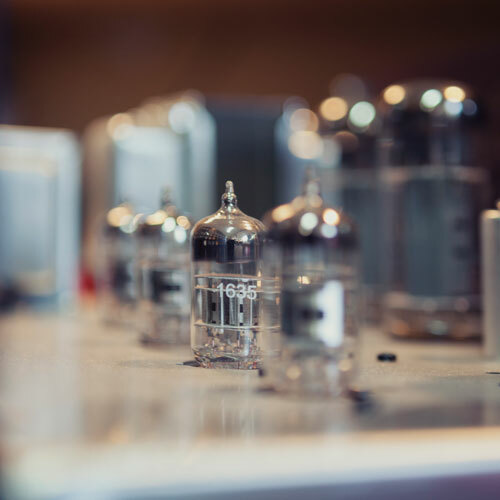 Not to rest on his laurels, Mark continues to create new reference grade guitar equipment, designs and assemble innovative guitar rigs, and builds some of the finest tube amplifiers made. Mark L Custom is all about experience; both in design and building exceptional equipment for professional and touring musicians. 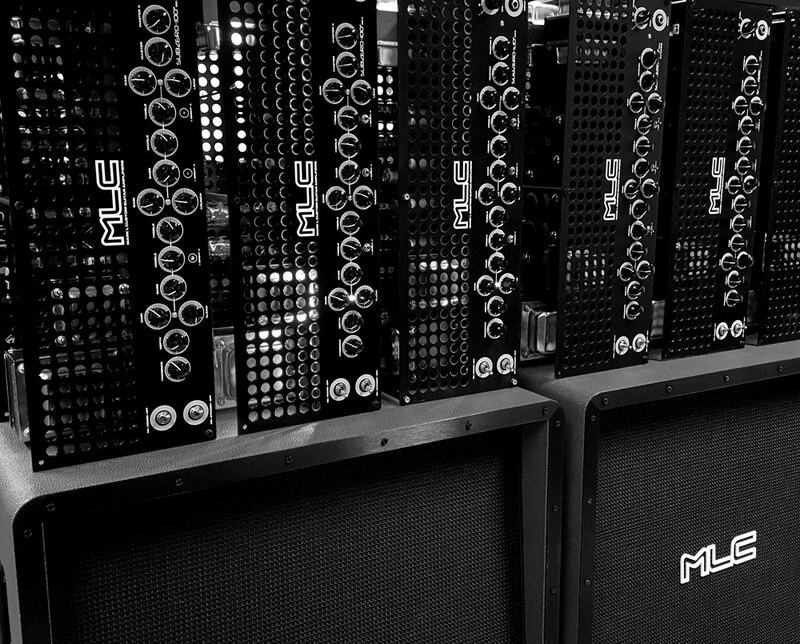 Each of our products is rigorously tested again and again by professional guitarists before it leaves our headquarters to ensure flawless operation on stage, in the studio, or in your home. In addition to their bulletproof construction and reliability, we also listen very carefully to suggestions and advice from the musicians we partner with to incorporate their input into our designs as well. At the end of the day, everything we make has YOU and YOUR needs in mind! The magic of MLC happens when we combine that personalization with our impeccable build quality, use of only the best materials possible, and superior customer service…. NO COMPROMISES! In 2001 Mark met Grzegorz Skawiński, a top guitar player in Poland. Grzegorz asked Mark to build a MIDI-based guitar system for him; this system was the original FC-21 MIDI Controller coupled with the PR-16 patch bay. Ever since that day, Mark L Custom and Grzegorz Skawiński continued their musical partnership to keep improving and expanding upon the capabilities and features of that first rig to help push both MLC, and the music, to new boundaries. At first, MLC designed and built only MIDI controllers, patch bays and universal power supplies. Then, in 2007 he met Paweł Paszkiewicz, a dentist and musician, and Tomek Gacek, a industrial design artist who was also a guitar aficionado. They talked Mark into designing a custom, pre-production tube amp. The task was not an easy one, as it had to combine the quality that MLC was known for with functionalism, aesthetic design, and most importantly TONE. After numerous tests and tweaks, combined with a innovative and stylish case designed by Tomek Gacek, Mark finished his first SUBZERO 60 amp which now stands proudly in Grzegorz Skawiński’s studio; this amp can be heard live on his new “Me and My Guitar” album. By 2012, the next evolution to the SUBZERO family of amplifiers had been made, namely the SUBZERO 60MKII, SUBZERO 100MKII, as well as the SUBZERO 60MKII STEREO. Additionally, Mark teamed up with Tomek and created a pre-amp and power amplifier for a 19” rack based on the SUBZERO design as a special order for RIVERSIDE’S Piotr Grudziński. This special combo was called the X-RAY, and is mounted in Peter’s rig and ready to rock for the upcoming New Generation Tour. Back in the 50’s, Mark’s grandfather – Felix – built custom turntables. In those days, finding components for making such devices was very difficult, but since he also ran a service point dedicated to fixing household appliances, things were looking good. In his footsteps along came Mark’s uncle – Roman – who in the 70’s built short-wave tube radio transmitters and tube audio amps. Ever since he was a child, Mark has always been fascinated by electronics, motorcycles and rock music – largely thanks to his uncle Roman. Mark spent his free time in his uncle’s workshop where the combined presence of electronic gear, amplifiers, speakers, Led Zeppelin and Deep Purple started shaping his future. After graduating from school, Mark began his first job in an electronics company making alarm systems for the Civil Guard, Fire Department, Police, and Emergency Services. The 10 years spent on creating various devices has helped him polish his already extensive knowledge on the subject of electronics. It is worth mentioning, that at no point did he stop making audio tube amps for home use for his friends. Mark gained a lot of expertise while designing alarm systems, he also learned about always being a professional and quality-oriented craftsman, who designs top-notch electronic devices. Mark takes great pleasure in using his knowledge, experience and passion to help YOU!!! Mark’s products gained worldwide attention a year later in 2002; that is when he first decided to follow his life passion of music and electronics by starting a business independently on his own. His goal was to deliver high-end stage guitar systems to professional and aspiring musicians around the world, little did he know then what impact his work would have on future owners of his gear! ll about experience; both in design and building exceptional equipment for professional and touring musicians. Each of our products is rigorously tested again and again by professional guitarists before it leaves our headquarters to ensure flawless operation on stage, in the studio, or in your home. In addition to their bulletproof construction and reliability, we also listen very carefully to suggestions and advice from the musicians we partner with to incorporate their input into our designs as well.